Your brand is defined by customer’s overall perception of your business. A successful campaign consists of many facets. 1. Determining who your target audience is. 2. Surveying the public to better understand how they interpret your brand. 3. Be aware of who your competition is and identify how you will differentiate from them. 4. Convince potential customers that your services or products have unique and valuable benefits over the competition. 5. Integrate your brand into every aspect of advertising including print, packaging, website, online marketing, social media, sales and customer service. 6. Stay true to your brand in regards to colors, visual elements and theme. 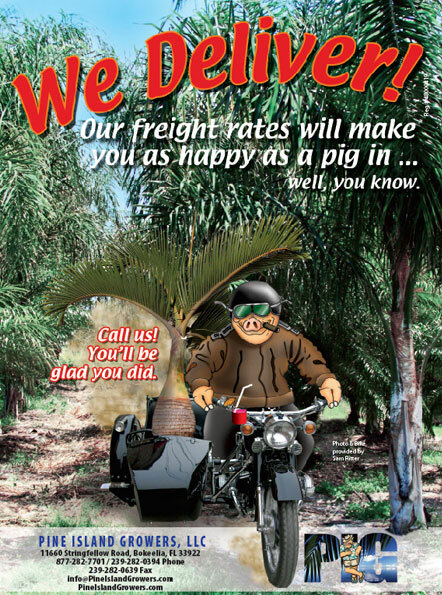 An example of Brand Building below. 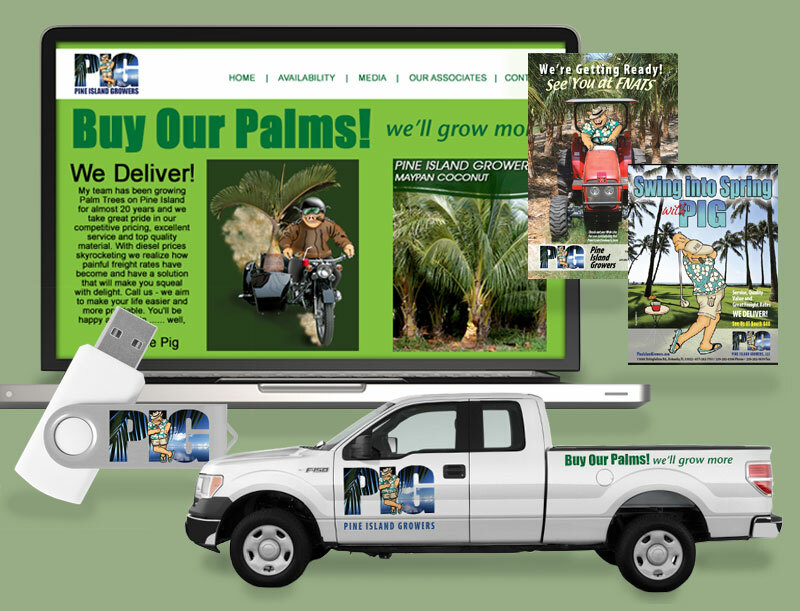 To start this journey, Pine Island Growers was a wholesale palm tree and nursery business located on an island in Florida. 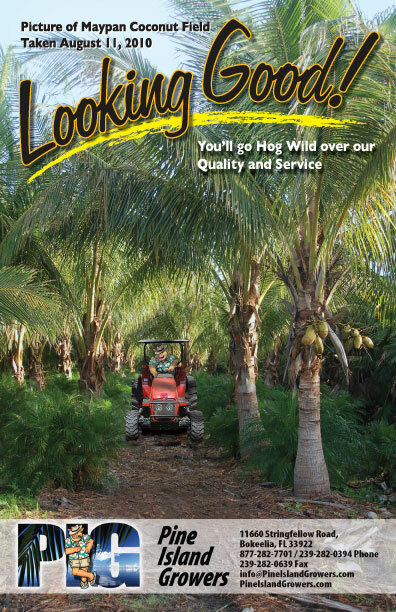 The acronym for Pine Island Growers . . . PIG. 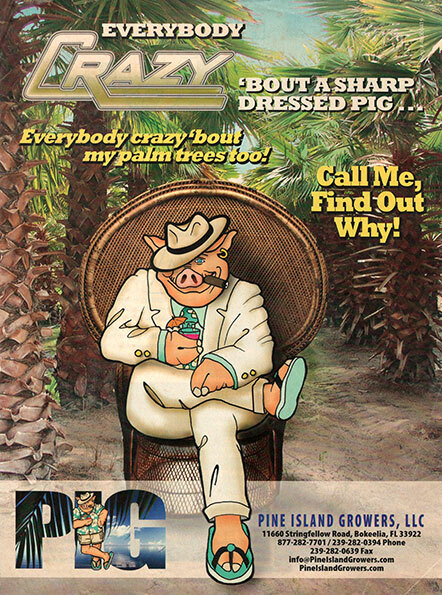 So when Rad said he wanted a cartoon pig to be the symbol of his company, I worried that his audience; Retail Nurseries, Architects and the Government, wouldn’t take him seriously. 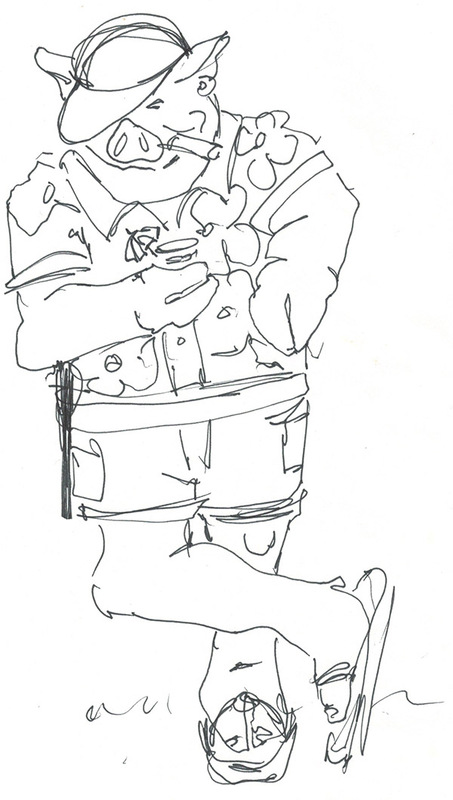 He was a stocky gentleman wearing khaki cargo shorts and sandals leaning against my office wall with a cup of water in his hand and his legs crossed. 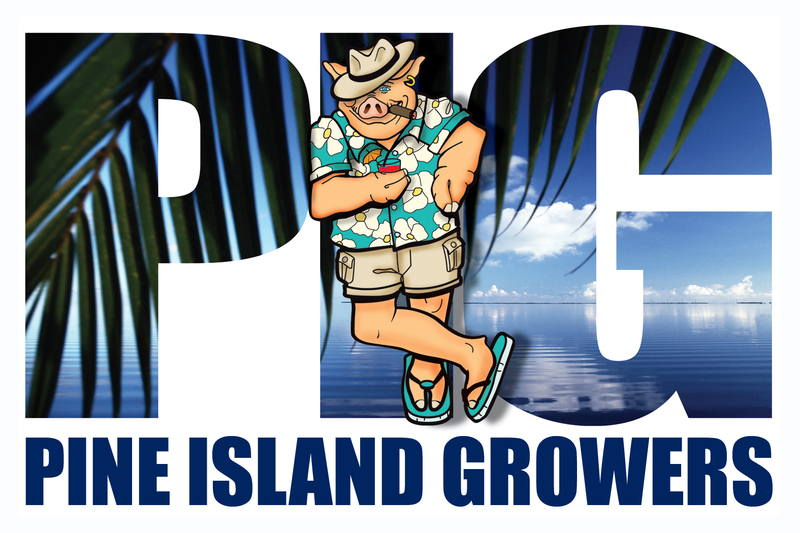 The PIG became the Pine Island Growers brand. 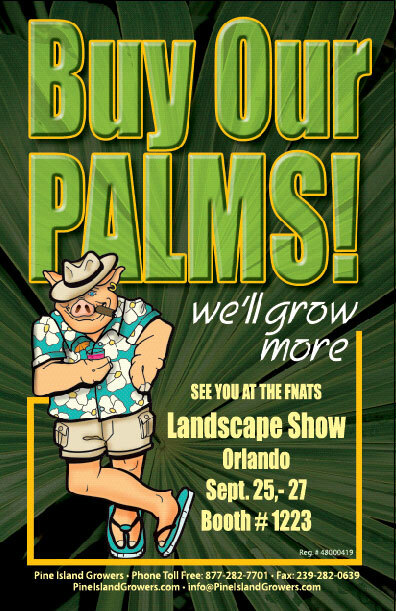 We traded Rads plaid shirt for flowers, water glass for an umbrella drink and sandals for flip flops. Accessories included a cigar, gold earring and a fedora. As a gimmick, we would only show one eye or no eyes. The PIG became an identity all to itself. 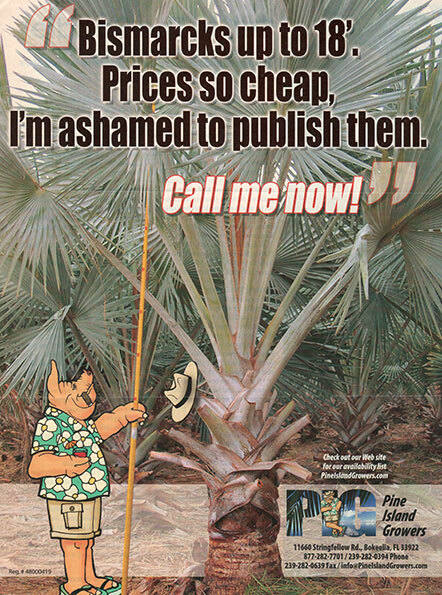 He would dominate their signage, their promotional items, stationery, business cards and their ads. 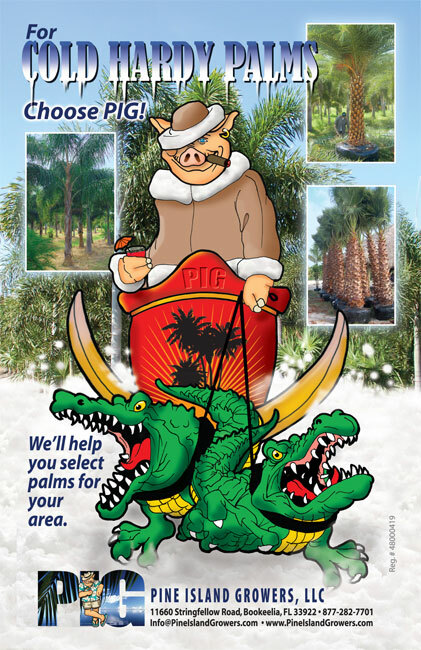 Every month, we would design a new ad with the Pig involved in different activities from measuring trees in the field to driving a team of alligators through a frozen tundra. 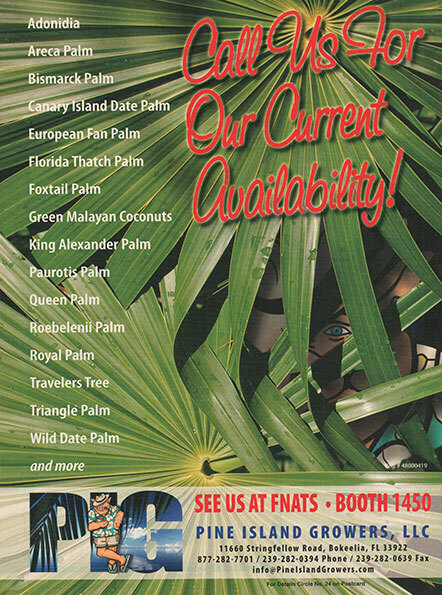 At trade shows, people would ask for the Pig and Rad would tell them he was visiting other booths. He would then point to an empty chair. A little table next to it had a half smoked cigar in an ash tray, an umbrella drink and fedora hat.